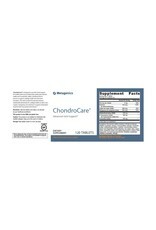 ChondroCare® is designed to provide broad support for healthy joints by providing high quality glucosamine sulfate and chondroitin sulfate, nutritional factors known to support cartilage health and soft tissue formation*. 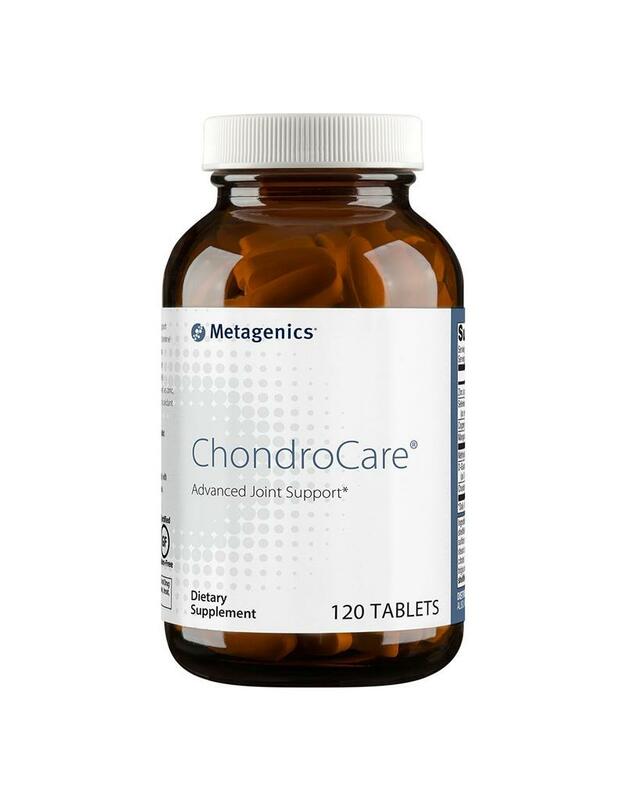 This well-rounded formula also features methylsulfonylmethane for cartilage health as well as zinc, copper, manganese, and selenium to support antioxidant enzymes that may help protect joint tissues*. 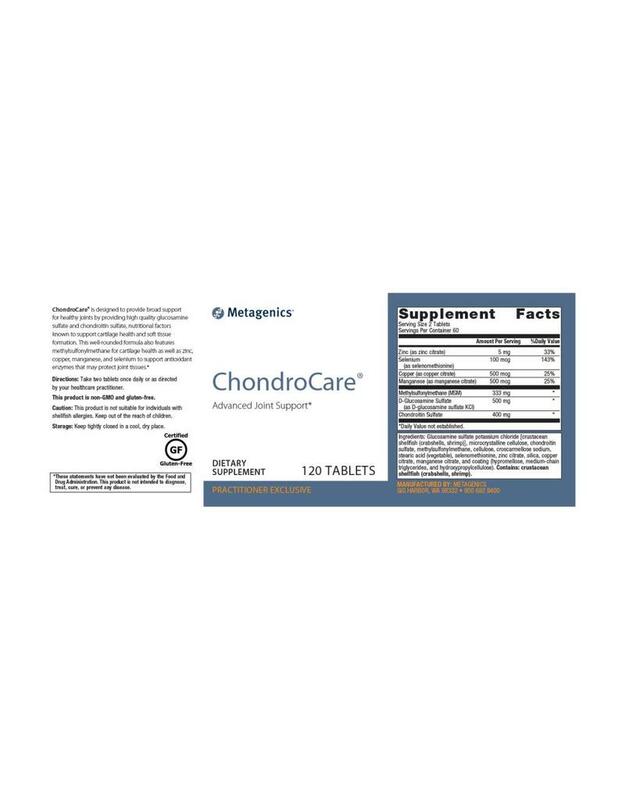 Other Ingredients: Glucosamine sulfate potassium chloride [crustacean shellfish (crabshells, shrimp)], microcrystalline cellulose, chondroitin sulfate, methylsulfonylmethane, cellulose, croscarmellose sodium, stearic acid (vegetable), selenomethionine, zinc citrate, silica, copper citrate, manganese citrate, and coating (hypromellose, medium chain triglycerides, and hydroxypropylcellulose). Contains: crustacean shellfish (crabshells, shrimp). 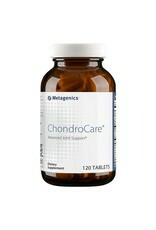 Directions: Take two tablets once daily or as directed by your healthcare practitioner. Caution: This product is not suitable for individuals with shellfish allergies. Keep out of the reach of children.